I have some fun news to share, and for some reason April 1 felt like a good day to share it. This one is a long time coming, something I’ve hinted at here on the blog a few times before. The book will be published by D&B Poker. After many years of publishing strategy books, D&B Poker has widened its scope a bit to include other poker-related titles like Tricia Cardner and Jonathan Little’s books on psychology and poker, as well as autobiographies by Mike Sexton and Phil Hellmuth. You’ve probably heard as well about Lance Bradley’s book due to appear this summer titled The Pursuit of Poker Success: Learn From 50 of the World’s Best Poker Players that features Bradley interviewing many of the game’s best known and most successful players. You can preorder Lance's book now either via D&B Poker or Amazon. My book will be titled Poker & Pop Culture: Telling the Story of America’s Favorite Card Game. Ordered somewhat chronologically as a history of the game, the book primarily will focus on poker’s prominence in American popular culture or the “mainstream.” In other words, I’ll be examining the game as it has been discussed and portrayed over the last two centuries-plus not just at the tables, but in newspapers, magazines, letters, memoirs, paintings, fiction, drama, radio shows, music, film, television, and elsewhere. 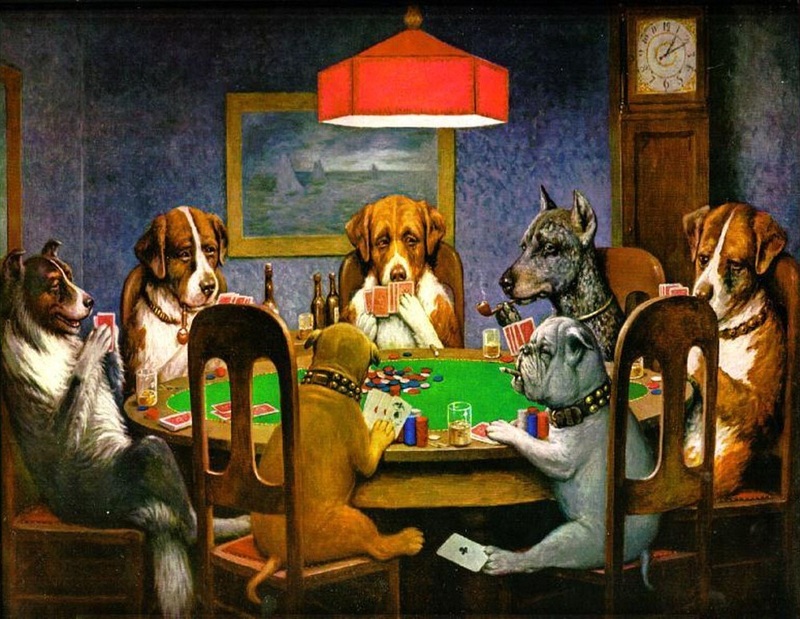 The book will additionally highlight poker being frequently evoked in politics, business, economics, warfare and diplomacy, business, economics, sports, and other “non-poker” contexts, with all of those references furthering the argument for poker’s importance to U.S. history and culture. Such references to poker popping up day-to-day American life also tend to foreground links between certain ideals and values considered “American” -- things like individual liberty, self-reliance, the frontier spirit, egalitarianism, the “pursuit of happiness,” the ideologies of capitalism, and so on -- and so that obviously will be part of the story, too. The idea of doing some sort of poker book probably began for me way back during the early days of the blog (begun almost 12 years ago), at some point not long after I picked up the habit of writing about poker on a regular basis both here and then soon after for a variety of different sites and publications. For a few years that was mostly just an idle thought encouraged by the fast-growing number of Hard-Boiled Poker posts. However, once I developed and began teaching my “Poker and American Film and Culture” class in 2011, the idea began to take on a more concrete shape as I envisioned creating a book that might serve as a kind of textbook for the course. Then in 2014 things got even more specific when with the help of an agent I began shopping book proposals and developing blurbs, detailed outlines and annotated tables of contents, sample chapters, and the like. That process evolved into a year-and-a-half long mini-adventure that was interesting for me though less so for others, I imagine, so I’ll gloss over the details. Instead I’ll just skip ahead to the happy ending of D&B Poker entering the picture. I’ll be spending most of this year writing and rewriting as I get the manuscript together, with the 2019 World Series of Poker being the current target for the book to hit the stands. I’ve written a book-length disseration and two novels before (Same Difference and Obsessica), and so I have had some experience planning and completing long-term writing projects. As in poker, patience is a big part of seeing such things through and having something to show for it in the end. But this will be something different, a new and different kind of writing challenge. And I expect it ultimately to be a lot of fun for your humble scribbler and (hopefully) for some of you, too. I’ll keep you updated on the project over here as well as on Twitter. Meanwhile big thanks to everyone who has read posts here and other articles of mine, and whose support and feedback encouraged me to keep writing. I know already the list of people I’m going to want to mention in the Foreword will be a long one. Image: A Friend in Need (1903) by Cassius M. Coolidge, public domain. Congratulations on getting a book contract! Very much looking forward to the final product; I offer you my amateur (but free :-) services as a proofreader between now and then (I've previously proofed a couple of poker books and fact-checked Ken Jennings's Trivia Almanac).